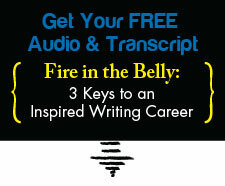 The Fine Art of Taking a Break | Writing & Book Coach | Marla Beck, M.F.A. Your best productivity hack is one of the hardest to do: setting time aside to allow yourself to take an expansive, deep and real break from daily demands. What would you do with a few days entirely to yourself? In today’s video, I’ll share with you my challenge with taking time off…and the choice I’m making. Previous post: How to Feel More Alive Again. Next post: My Personal Retreat: What Really Happened.